Millions of wolves once roamed throughout the Northern Hemisphere on all continents. Currently there are approximately 200,000 wolves, worldwide, in 57 countries. Reportedly, wolves are found on every continent except Africa. Today, most wolves are threatened by those things which threaten all wildlife. Mass destruction of habitat and natural resources and both legal hunting and illegal poaching are among the wild's greatest enemies. A recent study by the World Wildlife fund revealed that the world lost 30% of its natural resources and animals within the past 25 years. 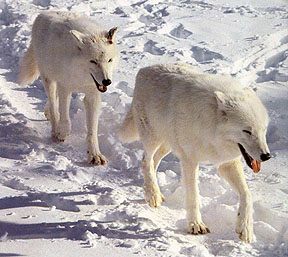 However, the wolf is unique among many animals because of its unfair and inaccurate association with well-known legends and myths generated and passed on by our European ancestors. The largest population of wolves, estimated at 70,000 is found on the North American continent which includes the United States, Canada and Alaska. Canada's population, the world's largest and most stable, is estimated at 60,000. The Alaskan government estimates its population to be 5,000 - 10,000. This estimate is considered outdated and inaccurate by some conservation groups. 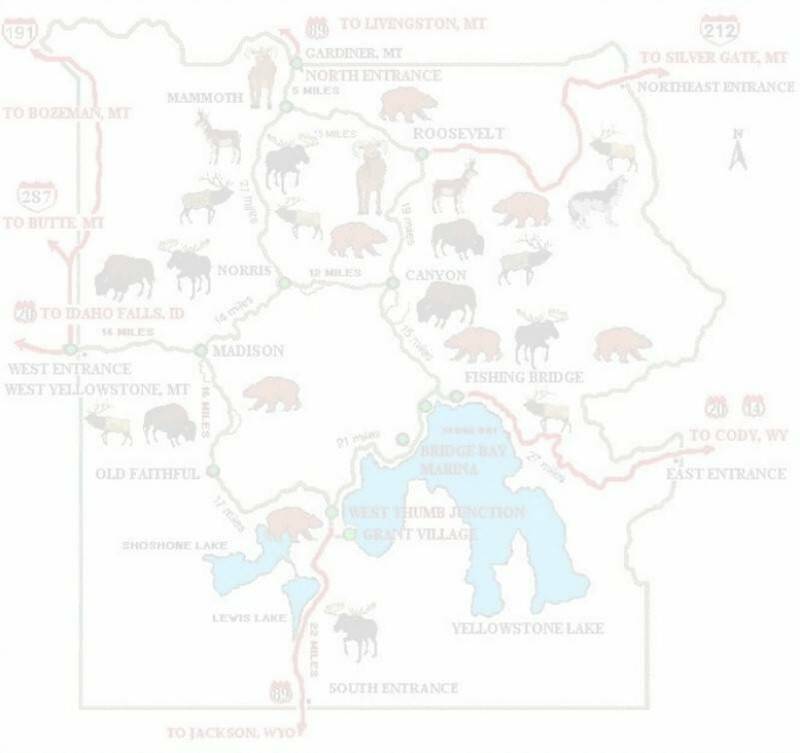 Wildlife Biologist Dr. Gordon Haber estimates the population to be between 3,000 and 6,000. There are no known wolves in northern Mexico - the historic home of the Mexican gray wolf - however reintroduction may be possible in and around Chihuahua. The second largest population of wolves is found throughout Asia at about 50,000. In China, where 90% of its 1.2 billion people occupy the eastern third of the country, there are approximately 6,000 wolves. Mongolia boasts a wolf population of approximately 30,000. China is now making great strides toward wolf protection but their animals are still threatened by illegal poaching. In Japan, the last wolf was reported in 1907. There is now a growing movement toward reintroduction of the Chinese wolf back into Japan that may take place in the next century. In Europe, the estimated population of 15,000 does not include Russia's population of 30,000 - 40,000. The future of Russia's wolves (and all of its large predators) is very grim, however, because the wolf is provided with no protection whatsoever. Russia has a very long and intense tradition of hate for the wolf. In Siberia wolves are shot and poisoned for their pelts and there is no control over hunting or poaching. Over the next two years, Russian authorities plan to kill 15,000 of its wolves. Spain is known for the largest population of wolves in western Europe. 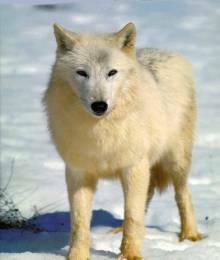 It is estimated that 2,000 wolves reside there however this population is quickly declining due to extreme habitat loss and poaching. Romania has an estimated population of 2,500 which may actually be nearer to 1,500 - 2,000. Romania has no protection or management plans in place for the wolf. Poland has become somewhat of a success story for eastern Europe by passing national legislation which grants the wolf total protection throughout the entire country. It's population is estimated at 650 - 800. Wolves have also begun to disperse and naturally recolonize in Germany where there is a growing citizen's movement toward wolf management and protection. In Slovakia where its population of 450 - 650 wolves receives no protection there is also growing public interest in protection. Wolves (40 50) from Slovakia and Poland have begun to disperse into the Czech Republic where they are protected but not enforced. 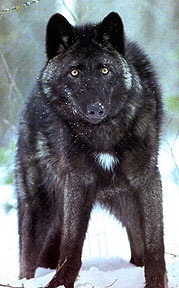 In India, where a smaller subspecies of the wolf resides, the wolf population is estimated at 2,200. There, wolves are fully protected yet threatened by population pressures and the fact that there is little-or-no space for wildlife. They are also threatened because people will kill them if given the opportunity. In the Middle East there is a declining population of approximately 3,000 wolves. Most are located in Saudi Arabia. There are no wolves in Africa, nor Australia.